Josef Martinez came close but couldn't dethrone the King as the all-time goalscorer for a season in the modern era of North American professional soccer. The Venezuelan international joined a very exclusive club and set a Major League Soccer record in 2018 but fell short of New York Cosmos legend Giorgio Chinaglia's all-time season record of 34. The Atlanta United striker finished his regular season with a league-record 31 goals as he became the first MLS player to crack the 30-goal barrier. He smashed the MLS mark of 27 held by the Tampa Bay Munity's Roy Lassiter (1996), San Jose Earthquakes' Chris Wondolowski (2012), and New York Red Bulls' Bradley Wright-Phillips (2014). 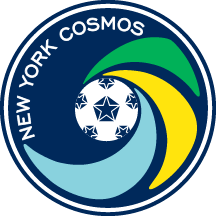 In a memorable and mesmerizing 1978 North American Soccer League season, King Giorgio celebrated his goals an impressive 34 times, as the Cosmos defeated the Tampa Bay Rowdies to capture their third Soccer Bowl title. In fact, Chinaglia is the only player in the modern era to reach that plateau not once, but twice. He found the back of the net 32 times during the 1980 season. Not surprisingly, the team also won another NASL title that year as well. And, if that wasn't enough, Chinaglia scored an absolutely incredible 50 goals in all competitions for the Cosmos in 1980. That's right -- 50 goals after he secured 18 goals during the playoffs. That included a magical seven goals in one playoff game in an 8-1 triumph over the Tulsa Roughnecks at Giants Stadium in East Rutherford, N.J., on Aug. 31, 1980. If you include 26 goals tallied in friendlies and exhibitions, Chinaglia finished the year with an amazing 76 scores. 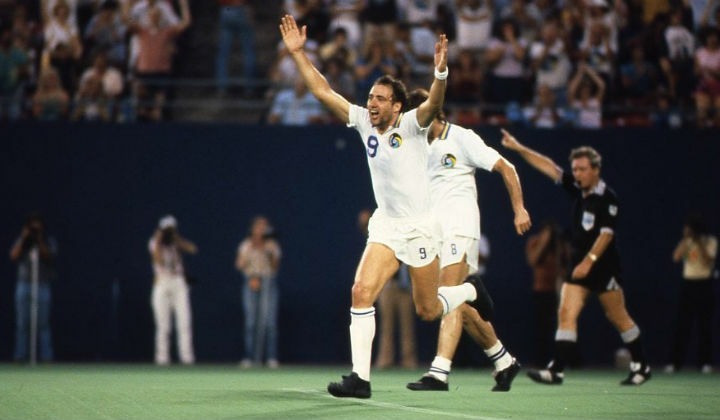 Chinaglia, who led the league in goalscoring in four consecutive seasons from 1978-81, retired in 1983 as the NASL's all-time leading scorer with 193 goals. He is a member of the National Soccer Hall of Fame, having been inducted in 2000. Another Hall of Famer who was known to fill the net in his time, the remarkable Archie Stark, connected for 67 goals in 44 league matches for Bethlehem Steel in the original American Soccer League. He also added three more scores in two league cup games to give him 70 for the season. Martinez became the sixth player to reach 30 goals in a North American pro soccer league in the modern era (since 1967).